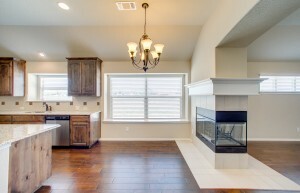 We love all of our floorplans. When they’re still under design, we post them on a white board for all employees to comment on. Our company employs former chefs and interior designers amongst those with other specialties. We squeeze every possible cool feature into the allotted space in every floorplan together. Each plan is a work of the heart that involves every employee’s feedback. As a parent, you try not to pick favorites, but we all know you do. Home builders can have the same sort of struggle. Especially marketers who get to work with the plans a lot after they’re finished and then spend hours editing and posing pictures. We definitely have a favorite. Don’t tell the other plans. We cannot get enough of our 2092 layout! The entertaining space is an ideal balance with a large open area and a closed-off formal dining. As a native Texan, I love having people over to watch some football, but not everyone likes to actually watch the game. These people (bless their hearts) can go into the formal dining and play games. The 3-sided fireplace is dramatic and elegant while providing separation for a third group to eat in the kitchen without interrupting the super serious football game! The really amazing thing is that the open-concept entertaining space only makes up half of the plan! This host-friendly house becomes a warm home when you move into the private rooms. 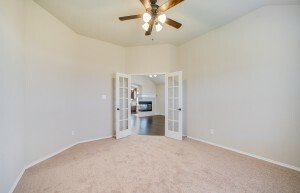 The master suite is gorgeous and features a spacious master bathroom. The walk-in closet could really be a whole room on its own. The two other bedrooms are well-sized and share an ample bathroom. You can see why we have a special place in our hearts for the 2092, but at the end of the day we love all our floorplans. 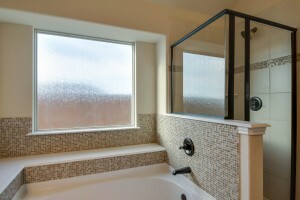 Antares Homes builds other plans that are also gorgeous, and they all have their own special features. We’d love to know what plans you love and why, so leave us a comment! 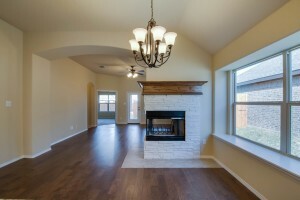 One of our upcoming neighborhoods is in South Fort Worth, right off the Chisholm Trail Parkway. If you are a Fort Worth native, you’ve heard of the Chisholm Trail all of your life. In elementary school, we took a field trip to the Stockyards and saw the old Swift Meat Packing plant falling into ruin. The magnificent decay continued to instill a sense of pride that our little town was once a hub for cattle on the Chisholm Trail. From 1867 to 1884 the Chisholm Trail was the route taken by cowmen to bring their cattle north in order to supply beef to the Eastern United States. They drove cattle all the way from South Texas to Abilene, Kansas where there was a cattle shipping terminal to take the livestock East. Over five million cattle traveled this route during its use. It is considered the largest man made animal migration in history. Since Fort Worth was the last stop for rest and supplies before moving north to Abilene, it quickly became known as Cowtown. In 1876 the railroad came to Fort Worth, making Cowtown the final destination for many cowmen on the Chisholm Trail. Their cattle and other livestock could now be shipped from Fort Worth rather than continuing to drive North risking further weight loss and, in turn, value per head. In 1900 both Armour & Co. and Swift & Co. began construction of meat packing plants adjacent to the stockyards and refrigerated cars began moving meat North and East. This had a huge impact on Cowtown economics. After opening their plants, Armour and Swift were responsible for bringing over six million dollars into the local economy. The rise and fall of this industry in Fort Worth lasted through the 1960’s. Armour closed their doors in 1962 and Swift followed suit in 1971. In honor of this heritage, which has inspired the name of Chisholm Trail Ranch, I have created a palette based on Steve Devenyns’ beautiful painting In Good Hands. Although the cows in his paintings aren’t the archetypal longhorns associated with Cowtown, the setting and tone are what I imagine a moment in time on the trail would look like. When I was speaking with Steve about this painting he told me that he has “always portrayed the cowboy in my paintings as a good steward. This painting is a good example of that. In this painting, the horse, cattle and the land are all In Good Hands.” If you like this painting as much as I do, you can view and purchase his paintings and prints on his site.